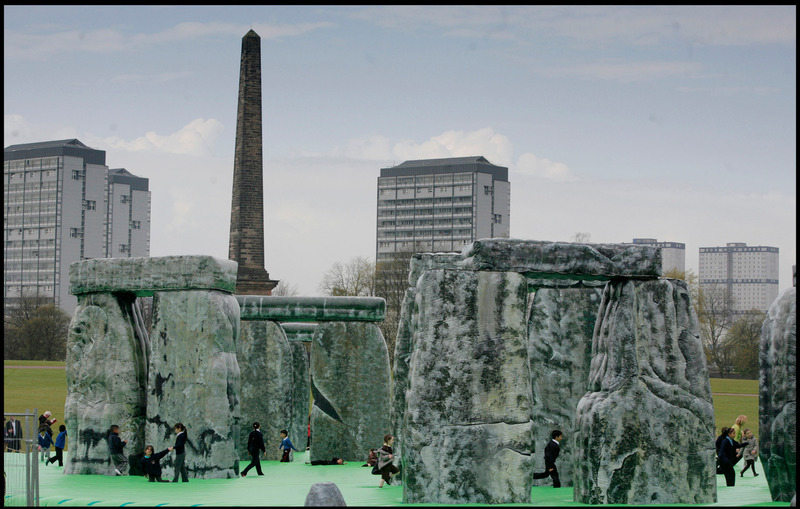 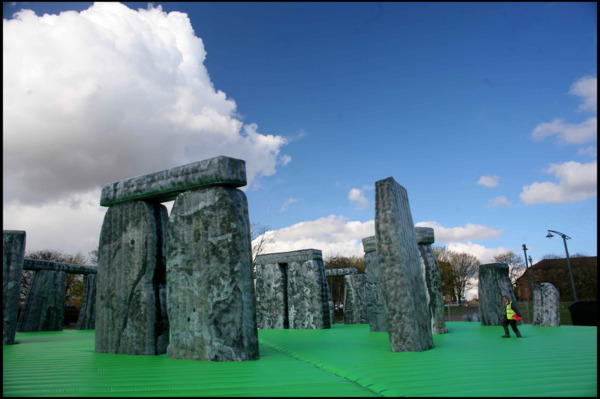 Situated on Glasgow Green, Sacrilege was revealed as a full-scale, inflatable replica of Stonehenge, one of the UK’s most recognisable heritage sites. 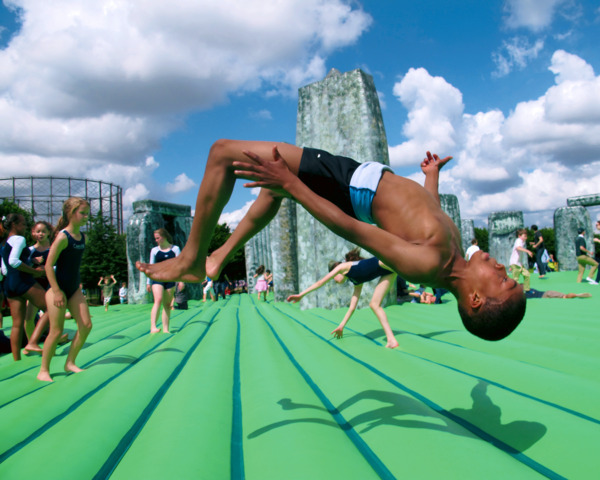 The ambitious new sculptural installation in the form of a magnificent bouncy castle is characteristic of Deller’s on-going exploration of contemporary culture and continues the Festival’s commitment to presenting engaging works in the public realm. 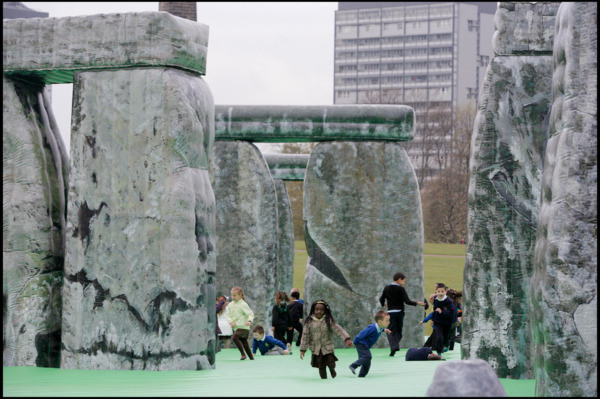 Sacrilege is Deller’s first major public project in Scotland and has been commissioned by GI Festival 2012 in collaboration with the Mayor of London and with investment from Creative Scotland. 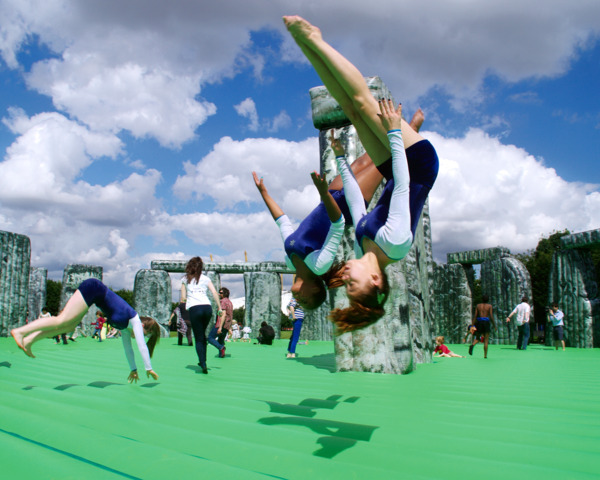 With funding from Arts Council England Sacrilege will also travel to different locations in the UK this June, before being shown in London this summer as part of CREATE and the London 2012 festival.